The federal government yesterday warned traditional rulers and other highly placed persons it said intelligence has uncovered as colluding with armed bandits to worsen the insecurity situation in the North-west of the country, saying the full wrath of the law awaits anyone caught compromising the security of Nigerians. Apart from killings in Zamfara State, hundreds of people have also been killed in the neigbouring states of Kaduna, Katsina and Sokoto, following the activities of rampaging bandits and kidnappers. To tackle the menace, the federal government recently launched “Operation Puff Adder,” a joint security task force designed to flush out the outlaws, warning mining companies to stay off mining sites or have their licenses revoked. Yesterday, the federal government moved a step further, saying in a statement in Abuja by the Ministry of Defence that some royal fathers were providing intelligence to the bandits to either carry out their criminal activities or compromise military operations. In view of this development, it directed the military to deal decisively with any individual or group of persons collaborating with the bandits no matter how highly placed. The statement signed by the Public Relations Officer to the Ministry of Defence, Col. Tukur Gusau, said government was taking concrete steps to address the twin menace of banditry and kidnapping in the North-west, noting that the decision of government to suspend mining activities in Zamfara State followed advice provided by the ministry. It said: “It is instructive to mention here that insurgency and terrorism are global phenomena that cannot be addressed through military actions only. The whole society has to rise in unison to support the government’s efforts to address the problem. “However, in spite of the concerted efforts of the Armed Forces and other security agencies, some unpatriotic persons including highly placed traditional rulers in the areas were identified as helping the bandits with intelligence to perpetrate their nefarious actions or to compromise military operations. “The Ministry of Defence, therefore, wishes to warn any person or group of persons, who choose to connive or sympathise with the bandits to perpetrate crime against law abiding citizens to henceforth retrace their steps or face the full wrath of the law. The Defence Ministry said government was looking at the remote and immediate causes of spiraling banditry in the North-west. According to it, “The Ministry of Defence is very concerned about the security challenges in the North-west particularly, in states of Zamfara, Sokoto, Katsina and Birnin Gwari axis of Kaduna State. Due to the recent prevailing security situation in the states the ministry through the Nigerian Army is now conducting Exercise Harbin Kunama IV simultaneously in Zamfara, Katsina and Sokoto States. In the meantime, the Peoples Democratic Party (PDP) has expressed anguish over horror Nigerians have been subjected to following escalating insecurity, including killings, rising spate of kidnapping, banditry and acts of terrorism in various parts of the country, particularly in the Northern states. 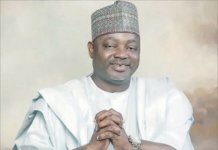 The party lamented that the federal government has failed to show enough commitment in protecting the lives of Nigerians and curb the bloodlettings and kidnapping of compatriots in Zamfara, Borno, Yobe, Kogi, Kaduna, Taraba, Adamawa, Plateau, Bauchi and other states. In a statement yesterday by its National Publicity Secretary, Mr. Kola Ologbondiyan, the party said that the PDP had been proved right that President Muhammadu Buhari and the APC do not believe in their campaign promises. The party noted that by every indication, the Buhari-led federal government has no solution to the security challenges of the country, which it said has festered under its watch. 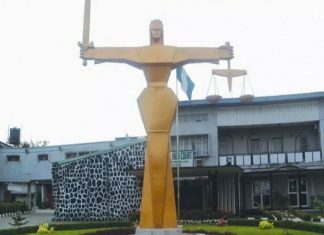 It added that this was the reason Nigerians are anxious for the retrieval of the party’s stolen presidential mandate, which they freely gave to its candidate, Alhaji Atiku Abubakar, at the tribunal, so that the nation could have the benefit of a purposeful government that is alive to its responsibility – of ensuring the security and wellbeing of the Nigerian people. 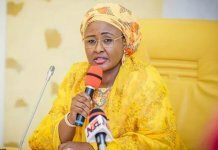 The main opposition party, therefore, tasked the APC to give account of the whereabouts of the political mercenaries it allegedly imported into the country from neighbouring countries, particularly from Chad and Niger Republic during the build-up to the 2019 general election. This demand, it said, was predicated on fears in the public space of the possible involvement, of the imported political thugs to unleash violence on Nigerians during the elections, in the heightened acts of banditry in the nation. 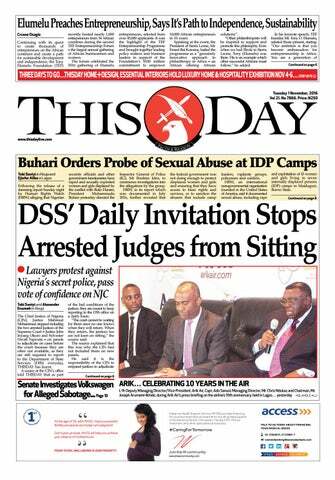 The PDP said: “Nigerians could recall that the PDP had raised a red flag on the dangers of the heavy importation of unscreened aliens by the APC to participate in its presidential election campaign rallies. 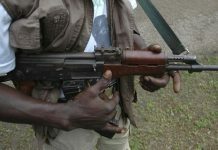 Meanwhile, no fewer than 36 persons have been killed in a clash between vigilantes and bandits in Tsaminyar-Jino community of Kankara Local Government Area of Katsina State. The bloodbath in Katsina coincided with the accusation by the federal government yesterday that some highly placed traditional rulers were conniving with bandits to perpetrate insecurity in the North-west. The clash between bandits and vigilantes in the Katsina community, according to residents, started on Sunday when vigilantes killed one Baban Kusa, suspected to be a bandit terrorising the community. The vigilantes were said to have stormed the community market about 1.39.p.m. and killed Kusa, leading to reprisal attack by the bandits. Confirming the incident to journalists yesterday, the Village Head of Tsamiyar Jino, Alhaji Ja’afaru Bello said 36 persons were killed and many sustained various degrees of injuries. He said: “The reports I received indicates that 36 persons were killed during the unfortunate incident. As I speak to you, corpses have littered at our farmlands. “We called the security personnel, but when they came and saw what was going on they just left without any information. So, we were scared of retrieving the corpses yesterday. But another resident, who pleaded anonymity, said 27 persons were killed at Unguwar Rabo, while eight were also massacred at Unguwar Sarkin Aiki and one at Centar Na Ade. 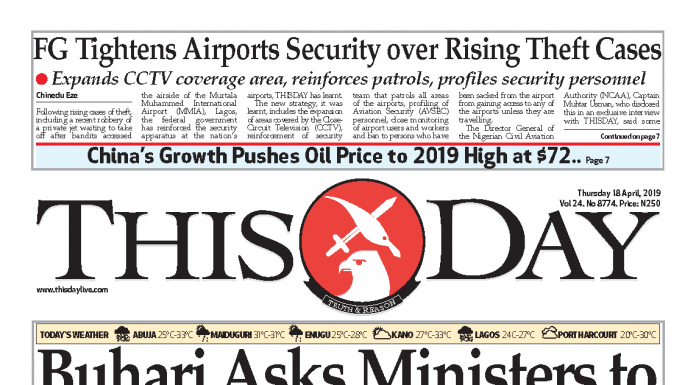 The source lamented that despite the repeated attacks on Tsamiya and other local governments in Katsina, the bandits still moved freely during the act without being challenged by security operatives. The police, however, said 14 people were killed during the clash. When contacted, the Katsina State Police spokesman, Mr. Gambo Isah, said: “Only 14 people died,” adding that security personnel have been mobilised to the area. The attacks on communities in Katsina have continued in the past few months, despite the deployment of f military and police personnel in the state.